Does America want a four-cylinder Jag? The all-wheel-drive system is nice for those in northern climes who want surefootedness, but it's only available on the mid-level engine. The 2015 Jaguar XF covers a broad range of needs, from the efficient 2.0-liter turbo model, to the over-the-top XFR-S performance sedan. With continual refinement and updates since its 2009 debut, the Jaguar XF has become a true competitor in the mid-size luxury segment. 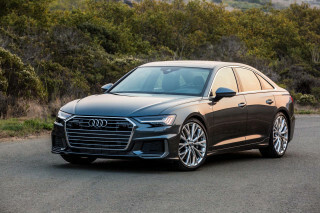 With three powertrains and optional all-wheel drive, it runs strongly with cars like the brilliant Cadillac CTS, the stalwart BMW 5-Series and Mercedes E-Class, and Audi's lithe A6 and A7. For 2015, Jaguar is reorganizing the trim levels and adding more standard content, but drivetrain choices remain the same. The XF's design has aged well—it still looks sleek, modern, and spirited. With relatively few cutlines and a catlike stance, it plays off the brand name beautifully. Jaguar found a new direction with the knockout interior as well; it's not derivative of any other model, while remaining uniquely British, quite glitzy, and a showcase of the brand's legendary attention to materials and trims. With the rotary shift knob, and vents that wake up when the pushbutton start is tapped, there are aesthetically pleasing touches and lots of 'wow' details throughout. Across the entire lineup, the XF feels understated and graceful behind the wheel, with well-weighted steering, capable brakes, and smooth, muted shifts. 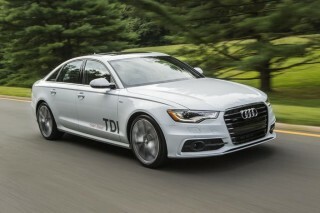 Electronic systems like Active Differential Control and Adaptive Dynamics systems shuffle power between the rear wheels and adjust suspension and steering firmness, making this 4,200-pound sedan feel remarkably nimble. Although the XF was V-8-only for several years when it launched, Jaguar recently added a turbo four-cylinder and supercharged V-6 to supplement the V-8, which is still available in three strengths. The turbo four-cylinder has 240 horsepower and moves the XF quickly enough for comfort-oriented buyers (albeit without quite as much refinement), while the supercharged V-6 makes 380 horsepower and is more a direct replacement for the naturally aspirated V-8 (albeit with better fuel economy). We like this engine for its more classically British engine note, complete with supercharger whine. It's also equipped with stop/start to increase fuel economy, in this instance a juddery system that makes plain the sacrifice to the EPA gods. If you don't mind dipping deeper into your coffers both at the dealership and at the pump, the supercharged V-8 brings the most driving enjoyment. Whether you go for the 470-horsepower XF Supercharged or the 510-hp XFR, count on stunning, confident performance, with a brawly baritone exhaust note and 0-60 mph times of 4.9 seconds or less. All versions have a paddle-shifted eight-speed automatic, but only the V-6 offers Jaguar's new all-wheel-drive system, a traction (not performance) oriented system that should prove appealing to those in the Snow Belt. At the top of the lineup is the limited-run XFR-S, a special high-performance edition that truly chases the likes of the BMW M5, Mercedes-Benz E63 AMG, and Audi RS6. With 550 horsepower and 502 lb-ft of torque from the supercharged V-8, plus sharpened Quickshift transmission logic, a stiffer suspension than the XFR, and a special staggered Pirelli performance tire setup--in addition to various aerodynamic improvements and an available big, functional rear wing--the 2015 Jaguar XFR-S can get to 60 mph in just 4.4 seconds and max out at 186 mph. The most significant weakness of the XF is that the swoopy roofline does cut headroom in back. 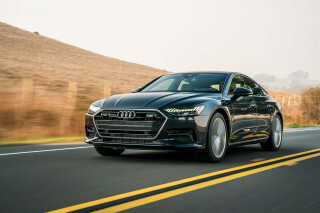 With packaging that's closer to a four-door coupe than a family sedan, there's still plenty to swoon over, and those rear seatbacks do fold down for access to the trunk. The seats are supple and well-contoured, and no matter where you're sitting, you're surrounded by rich leather and other snazzy materials, from walnut to aluminum. And lavish materials in the 2014 XF continue to impress--especially against the more sterile appointments in some of its class rivals. While some versions of the 2015 XF are full-fledged sport sedans, all variants surround passengers with serious luxury-car features. For 2015, Jaguar has done away with the base 2.0T model and created the 2.0T Premium in its place, which includes the formerly optional Premium Pack (navigation, keyless entry, rearview camera, front parking sensors, a 380-Watt Meridian sound system, HD Radio, and satellite radio), as well as the Blind Spot Monitor, auto-dimming exterior mirrors, and a split-folding rear seat with ski pass-through. Other standard equipment includes a pair of USB ports, Bluetooth connectivity, and built-in music storage. Move up the model line, and more exclusive materials like the Warm Charcoal leather trim and contrast-color micro-piping are the real lure--not the aging infotainment interface and onboard technology. Jaguar has also created two different models for the 3.0-liter supercharged V-6, both new for 2015. The Portfolio and Sport are geared toward luxury and performance-minded buyers, respectively. They carry the same base price but bundle different aesthetics and features. Both are available with Jaguar's all-wheel-drive system. Supercharged V-8 models include the XF Supercharged, XFR, and XFR-S. 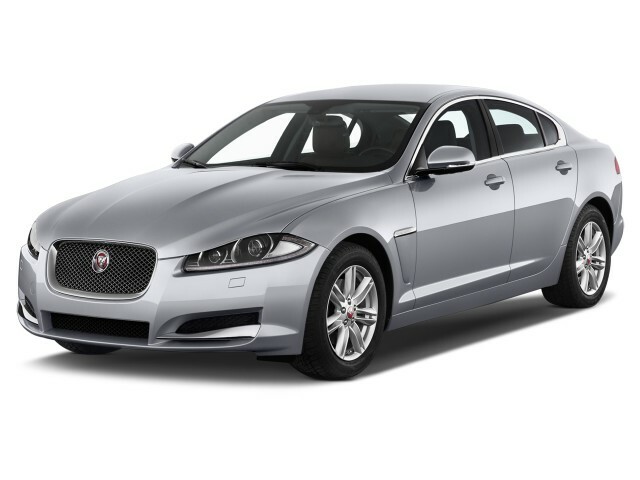 The Jaguar XF has one of the more glamorous shapes in its class, and a handsome cabin to boot. Ultra-modern, gorgeous, and more than a little extravagant, the XF looks like no Jag before it, and really doesn't need to. Many years into its life cycle, the XF's look has been only mildly smoothed over--there's no need for anything more than that. The 2015 Jaguar XF still looks sleek, modern, and spirited. If anything it just fits into the luxury market a little easier than it initially did, with many models adopting some of the same cues and curves it pioneered. With relatively few cutlines and an athletic stance, the design plays off the brand name beautifully. The headlights are like an intense pair of eyes set off by the mesh grille. The design is sophisticated and clean from almost every angle. There's more than a touch of Lexus or Audi in the way the XF slips through the air cleanly, but it's an instantly identifiable theme all the same--one that acknowledges Jaguar's past without bowing down to it. The XF's beautiful interior is similarly new with a touch of the old world. It's uniquely British, quite glitzy, and a showcase of the brand's legendary attention to materials and trims. Details like the rotary shift knob and vents that rotate open (with soft lighting 'waking up') when the pushbutton start is tapped provide 'wow' throughout the interior. Materials are a step ahead of those in more stark, serious German sport sedans, as well; there's aluminum and wood trim—burl walnut trim is standard—arranged in a way that makes the interior feel more like furniture than in most other cars in this class. Sure, you can have the four-cylinder--we'll take the 550-hp XFR-S.
Over the years, a lot has changed under the hood of the Jaguar XF. Originally offered with a choice of V-8 engines, the naturally aspirated engine has been replaced by two more-efficient choices: a turbo four-cylinder and a supercharged V-6. The supercharged V-8 remains, now offered in three strengths, for those who value performance over economy. The turbo four-cylinder has 240 horsepower and moves the 2015 XF quickly enough for comfort-oriented buyers (albeit without quite as much refinement), while the supercharged V-6 makes 380 horsepower and is more a direct replacement for the naturally aspirated V-8 (albeit with better fuel economy)--think 5.7 seconds to 60 mph. We like this engine for its more classically British sound, complete with supercharger whine. 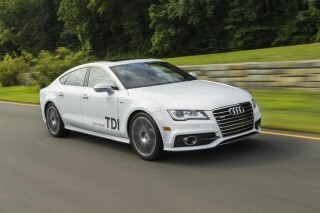 Both it and the four-cylinder are also equipped with engine stop/start to increase fuel economy. In this application, it's a juddery system that makes plain the sacrifice to the EPA gods. Fortunately, it can be switched off. If you don't mind dipping deeper into your coffers both at the dealership and at the pump, the supercharged V-8 brings the most driving enjoyment. The XF Supercharged gets a 470-horsepower version, while the XFR steps output up to 510 hp. 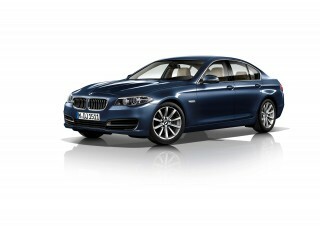 Both return serious performance, with a baritone exhaust note and 0-60 mph times of 4.9 seconds or less. Stop/start is standard here again, but works much more smoothly. At the top of the range is the limited-run XFR-S, a special high-performance edition that truly chases the likes of the BMW M5, Mercedes-Benz E63 AMG, and Audi RS6. With 550 horsepower and 502 lb-ft of torque, plus sharpened Quickshift transmission logic, a stiffer suspension than the XFR, and a special staggered Pirelli performance tire setup--in addition to various aerodynamic improvements and an available big, functional rear wing--the Jaguar XFR-S can get to 60 mph in just 4.4 seconds and max out at 186 mph. Across all XF models, you now get a paddle-shifted eight-speed automatic, but only the V-6 offers Jaguar's new all-wheel-drive system, a traction- (not performance) oriented system that should prove appealing to those in the Snow Belt. It's set up with a 30:70 torque split in ordinary driving, but the power can be split evenly to the front and back when traction needs arise--or, when sport mode is dialed up, it can be tuned to a 10:90 split for something even closer to the rear-drive experience. It also sends some torque to the front wheels for a smoother launch, resetting its torque split when the traction-control and yaw sensors signal. The XF simply gets better with each step up the performance ladder. Despite an almost supercar-like thrust on tap with the V-8s, the XF is deceptively smooth. Even the XFR and XFR-S feel like entirely civil cars—until you open the throttle and access their full potential. They're grippy and stealthy in the way it gathers speed, even with new electric-assisted steering. All XFs feel understated and graceful behind the wheel, with well-weighted steering, capable brakes, and smooth, muted shifts. 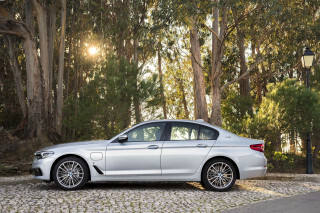 Electronic systems like Active Differential Control and Adaptive Dynamics shuffle power between the rear wheels and adjust suspension and steering firmness, making this 4,200-pound sedan feel remarkably nimble. The suspension is tuned to be somewhat soft in standard XF models especially, but there's no floatiness or bounciness, and the body always feels under control. The rear seat is too tight for its size, but the XF finishes every surface with a flourish. The 2015 Jaguar XF has a truly beautiful and welcoming interior, with only a couple of drawbacks resulting from choices made in the name of style. The XF's front seats are supportive and highly adjustable—18 ways in the XFR and XFR-S, with their adjustable bolsters. There's adequate leg and head room for tall drivers to find comfort--even though the position is a little low and the sunroof steals a couple of inches of headroom. The significant weakness of the XF interior is that the swoopy roofline does cut headroom in back. 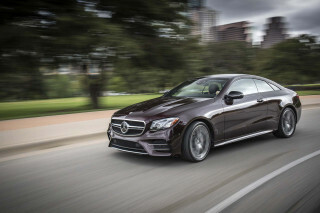 With packaging that's closer to a four-door coupe than a family sedan, getting in and out is perhaps a little harder than it should be, and we don't see those much over six feet tall being able to fit comfortably back there (it's definitely smaller than a Mercedes E-Class or BMW 5-Series). 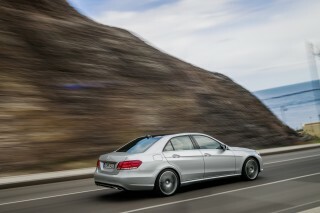 But there's still plenty to swoon over, and those rear seatbacks do fold down for access to the 17.7-cubic-foot trunk. No matter where you're sitting, the seats are supple and well-contoured, and you're surrounded by rich leather and other glitzy materials, from walnut to aluminum. Leather trim is double-stitched, and LED lighting helps create a comforting atmosphere. The console and doors have enough small-item storage, and even a deep cup holder. And overall, the lavish, warm appointments in the XF continue to impress--particularly against the more sterile trims and materials you'll find in many German sport sedans. The ride in all XFs is confident yet comfortable, with the sportier models trading a little ride comfort for their superior handling. The XF doesn't have much of a track record in crash tests. The XF hasn't been crash-tested by either of the nationally recognized safety groups. And while it doesn't offer the kind of advanced accident avoidance features you'll find in rivals like the BMW 5-Series and Mercedes-Benz E-Class, all the protection basics are here. Although there aren't any U.S. test results for the XF, it's earned a decent four-star rating in rigorous European crash tests. The XF's standard safety set includes six standard airbags to go with its anti-lock brakes, stability control, and active front headrests. Rear parking sensors are standard, and, as of 2015, so are front sensors, a rearview camera, and get blind-spot monitors; the latter is a boon on a car with limited visibility such as this. Adaptive cruise control with a collision warning system is an option on all models. Jaguar offers all-wheel drive on models equipped with the 340-hp supercharged V-6. The company notes that this system is oriented toward safety and traction, rather than all-out performance. The XF is well equipped, but its kludgy touchscreen interface is part of the bargain. For 2015, Jaguar has realigned the available trim levels, including more standard equipment and also making it easier to choose from a smaller number of available specifications. For 2015, Jaguar has done away with the base 2.0T model and created the 2.0T Premium in its place, which includes the formerly optional Premium Pack (navigation, keyless entry, rearview camera, front parking sensors, a 380-Watt Meridian sound system, HD Radio, and satellite radio), as well as blind-spot monitors, auto-dimming exterior mirrors, and a split-folding rear seat with ski pass-through. Other standard equipment includes a pair of USB ports, Bluetooth connectivity, and built-in music storage. Jaguar has also created two different models for the 3.0-liter supercharged V-6, both new for 2015. The Portfolio and Sport are geared toward luxury and performance-minded buyers, respectively. They carry the same base price but bundle different aesthetics and features. To differentiate them from the four-cylinder models, V-6 XFs get a Dynamic mode to govern the adaptive controls. Both V-6 trims are available with Jaguar's all-wheel-drive system. Jaguar XF Supercharged models make the biggest leap in luxury equipment. They add the adaptive suspension and an active rear differential; 20-inch wheels and tires; more adjustments and finer leather for its front seats, as well as ventilation; a heated steering wheel; a suede headliner; and keyless entry. The Jaguar XFR carries all those features standard, and also gets the top Meridian audio system standard, as well as even more adjustment and premium leather for its seats; fold-down rear seats; adaptive headlights with automatic high beams; and a black-finished grille. Adaptive cruise control is one of the only options. In addition to all that, the XFR-S gets all sorts of performance improvements, as well as a unique front airdam, a carbon-fiber rear diffuser, a performance exhaust, special 20-inch wheels, and a suede headliner. Major options include a premium leather interior; an upgrade to an 825-Watt Meridian audio system; ventilated front seats; and adaptive cruise control and blind-spot monitors. The nav, audio and most climate functions are controlled via a large LCD touchscreen on the dash. The XF's now-standard navigation system also incorporates iPod/iPhone control for music. A tap on the touch screen and you're controlling the flow of tunes through a target on the display; however some drivers will be disappointed to see that many of the climate controls have been moved to screen-only positions as well. Jaguar has made attempts to increase the functionality of this system, but it still lags behind all-encompassing features like iDrive; at the same time, we do like the level of redundancy provided by physical buttons. At least one XF variant earns a 30-mpg highway rating--hint, it's not the XFR-S.
With its wide range of powertrain choices, the Jaguar XF offers fuel economy to meet just about any luxury buyer's needs. An eight-speed automatic is standard across the line, helping keep even the thirsty supercharged V-8 efficient on the highway. The turbo-four XF equals the numbers of some mid-size family sedans. It's rated at 19 miles per gallon city, 30 mpg highway. 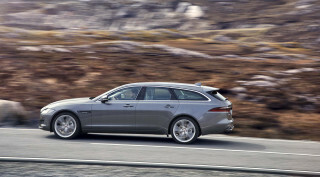 XFs equipped with the supercharged V-6 are rated at 18/28 mpg with rear-wheel drive, or 17/27 mpg with all-wheel drive. All versions of the XF equipped with the supercharged 5.0-liter V-8 (XF Supercharged, XFR, XFR-S) get the same fuel-economy figures: 15 mpg in the city and 23 mpg on the highway.